During a recent wander round the local hobby emporium (Hobbycraft), I found some nice embossed paper sheet - pebbles. Looked good for use as a cobbled area, so bought two sheets. 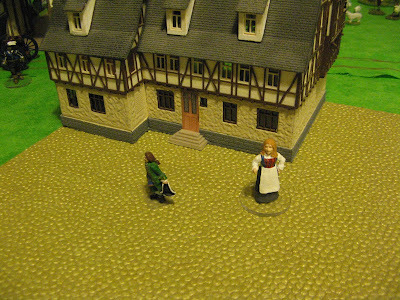 I covered a cork floor tile with some and tried it out for general look with some a couple of figures (one 28mm the other 40mm) and a building. 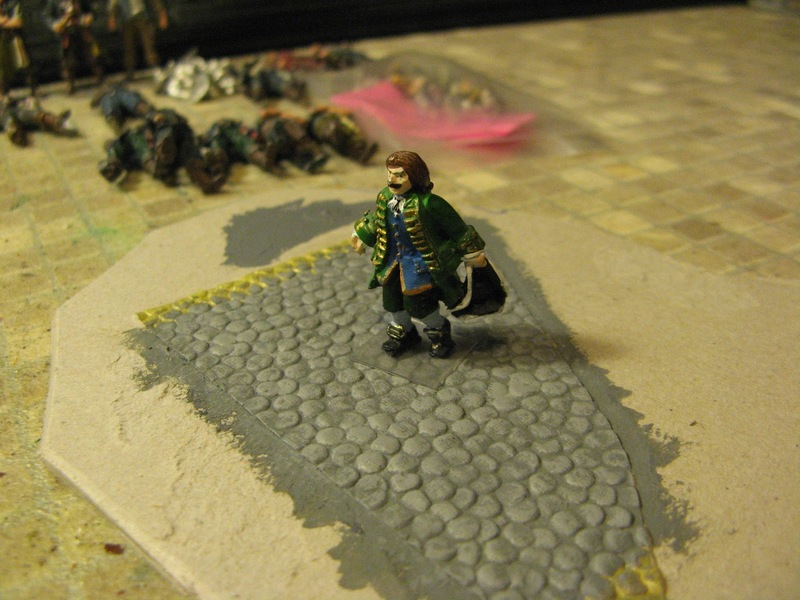 will work out how big a cobbled area I need, then cover some more cork floor tiles and paint the lot up.